Provisional series since 1990. Self-adhesive. 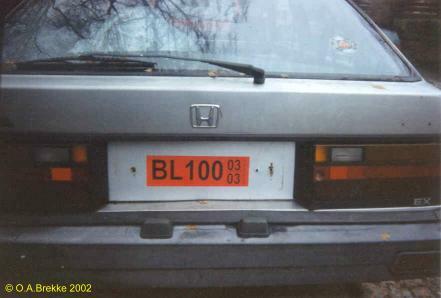 1990-92 date layout. TF = Voss. Valid until August 3rd. Provisional series since 1990. Self-adhesive. Current date layout since 1992. BL = Asker og Bærum. Valid December 3rd. Until 2012 without the original registration in small lettering. Provisional series since 1990. Self-adhesive. Current date layout since 1992. 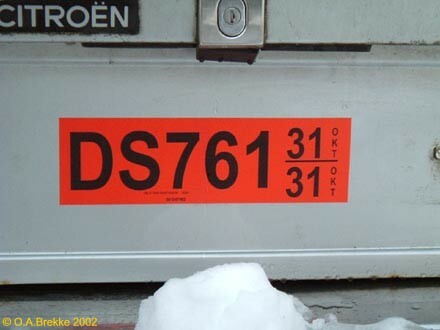 DS = Oslo. Valid October 31st. Until 2012 without the original registration in small lettering. Provisional series since 1990. Self-adhesive. Current date layout since 1992. EK = Oslo. Valid June 18th. Until 2012 without the original registration in small lettering. Provisional series since 1990. Self-adhesive. Current date layout since 1992. SS = Bergen. Valid between May 6th and 10th. Until 2012 without the original registration in small lettering. Provisional series since 1990. Self-adhesive. 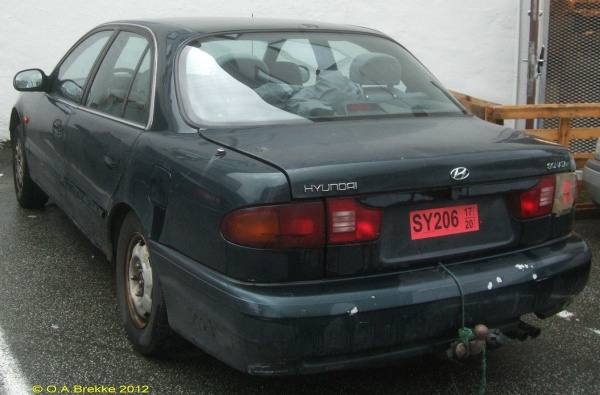 Current date layout since 1992. ST = Bergen. Valid August 16th and 17th. 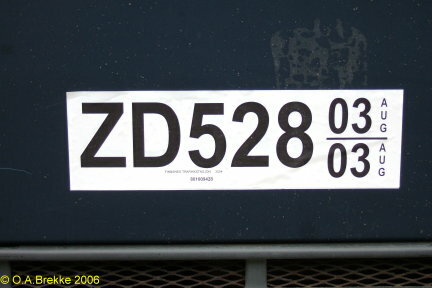 Until 2012 without the original registration in small lettering. Provisional series since 1990. Self-adhesive. Current date layout since 1992. TH = Voss. Valid between August 5th and 9th. Until 2012 without the original registration in small lettering. Provisional series since 1990. Self-adhesive. Current date layout since 1992. ZD = Finnsnes. Valid August 3rd. Until 2012 without the original registration in small lettering. This plate should have been red. It was two years old and either faded by the sun, or white material had been used. Provisional series since 1990. Self-adhesive. TK = Voss. Valid June 15th 2012. It would seem there were printer problems in the transition to the new type (with original registration) as I saw a number of handwritten plates for a few days. Provisional series since 1990. Self-adhesive. TK = Voss. Valid between June 15th and 18th 2012. It would seem there were printer problems in the transition to the new type (with original registration) as I saw a number of handwritten plates for a few days. Provisional series since 1990. Self-adhesive. 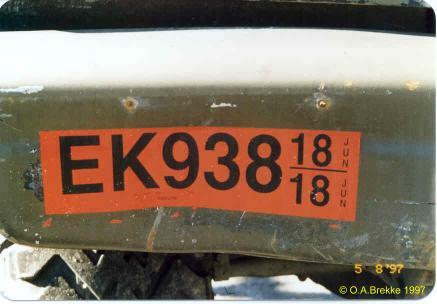 Current date layout since 1992. SY = Bergen (geographically coded until 2013). Valid between August 17th and 20th 2012. 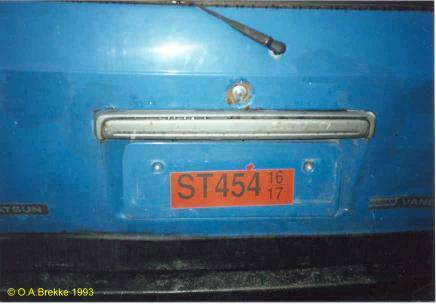 Since 2012 the original registration appears in small lettering at bottom left. 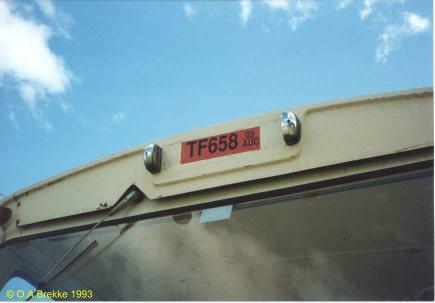 Next to it is the name of the issuing office, the date of issue and a serial number. 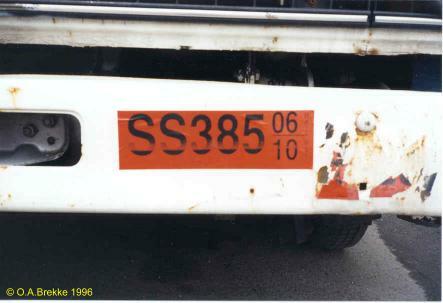 Additional truck plate, 1977-early 1990s(?). 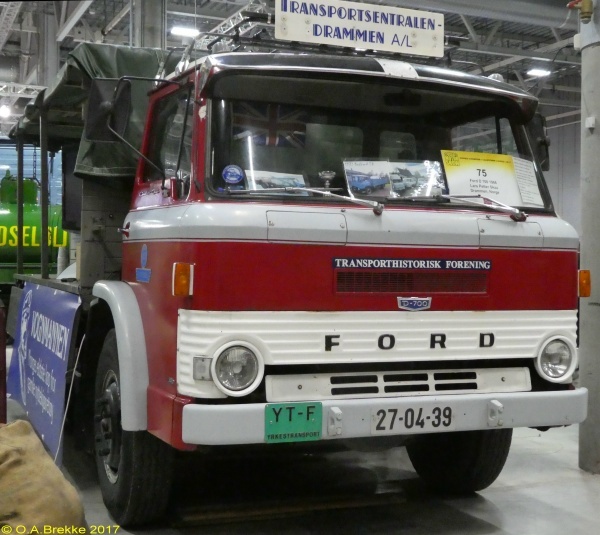 YT = Yrkestransport (carriage of goods for hire). F = Buskerud. 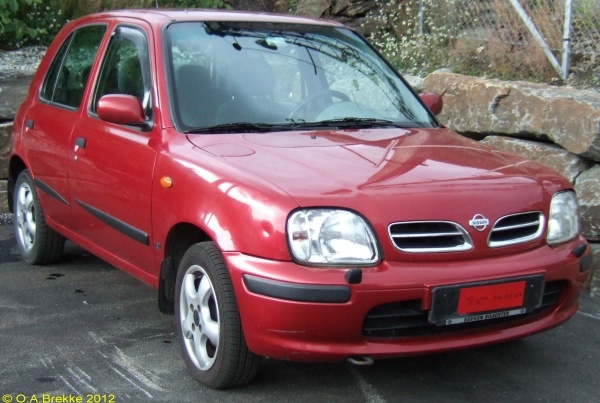 Note: This is not really a registration plate. 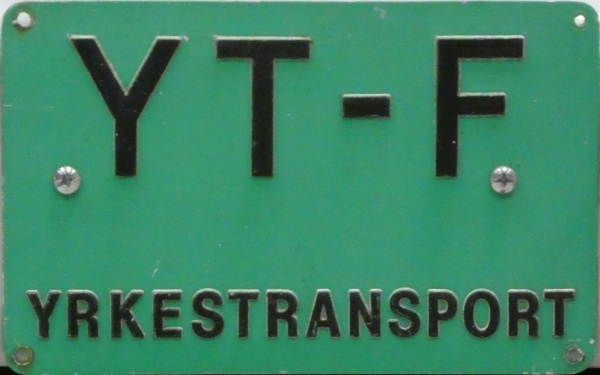 Additional truck plate, 1977-early 1990s(?). 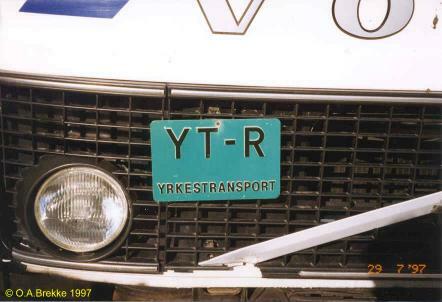 YT = Yrkestransport (carriage of goods for hire). R = Hordaland. 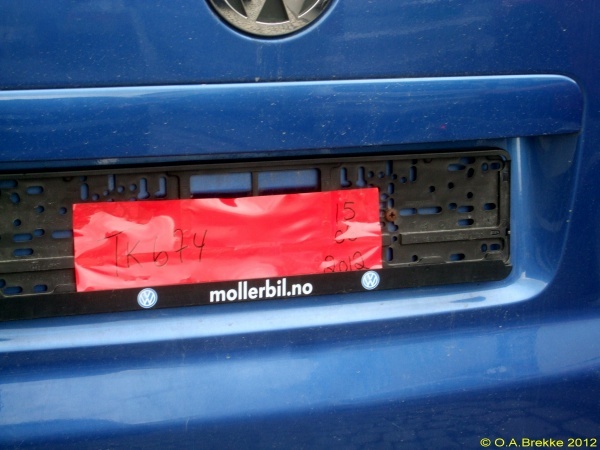 Note: This is not really a registration plate. Taxi lamp. 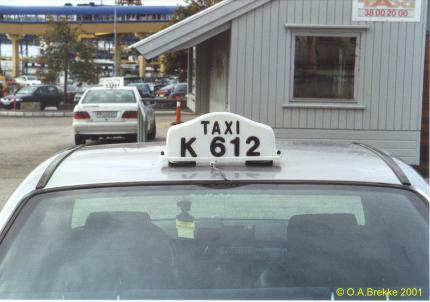 These show the number of the taxi licence. 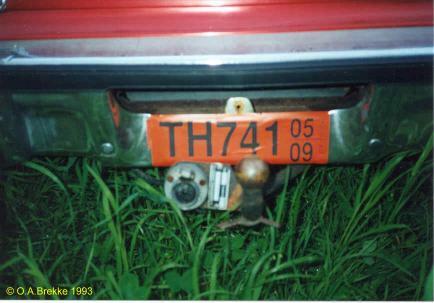 The letter is from the pre-1971 number plate system. K = Vest-Agder.